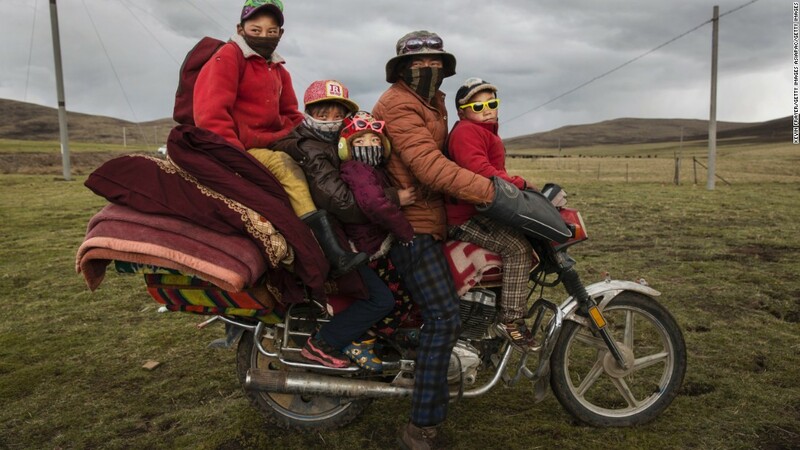 (TibetanReview.net, Jul28, 2018) – In what can only be seen as blatant discrimination, Chinese police in Serta (Chinese: Seda) County of Sichuan Province are refusing motorbike driving license to Tibetan nomads, either citing flimsiest of excuses or by simply answering “no” to their applications and pleas, reported the Tibetan Service of rfa.org Jul 26. China’s official media has in the past cited the Tibetan nomads’ move to the use of motorcycles in place of riding horses as an indicator of their modernization and progress under its rule. But despite presenting their application forms, the required fee of 600 RMB and other documents, local Chinese officials were stated to turn away Tibetan applicants in an offhanded manner. “Sometimes, they say their computers are down. At other times, they say the nomads have not met the requirements for their licenses to be issued,” the report quoted a local source as saying. Many of the Tibetan applicants travel long distances and make it a point to arrive early to stand in a long queue, only to end up getting turned away just like that. These nomads live in remote areas of the county, cut off from major roads. Motorbikes have become increasingly popular with them for meeting their travel and transport needs. It helps them to cut their journey times by hours compared to travelling on horseback. The report cited US-based Tibetan expert on Chinese law Mr Dolma Kyab as saying the refusal of driving licenses was only one of many discriminations being faced by Tibetans under Chinese rule. “[Authorities] look down on Tibetan people who don’t understand their legal rights, and these nomad Tibetans are not that well educated,” he was quoted as saying.